This cross necklace is made of solid high polished stainless steel. 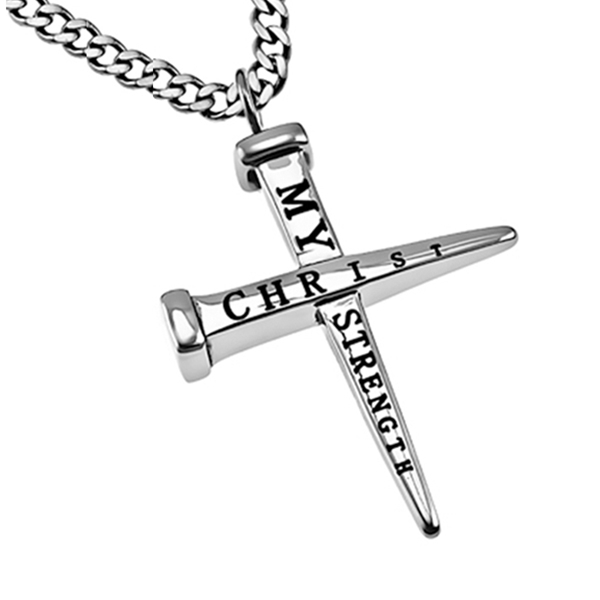 The cross is formed of two nails with "Christ My Strength" engraved on the front and "Phil. 4:13" engraved on the back. All engravings feature a black enamel filling. Cross measures 1 3/4" x 1 1/4".